I just watched Return to Spider Skull Island again. 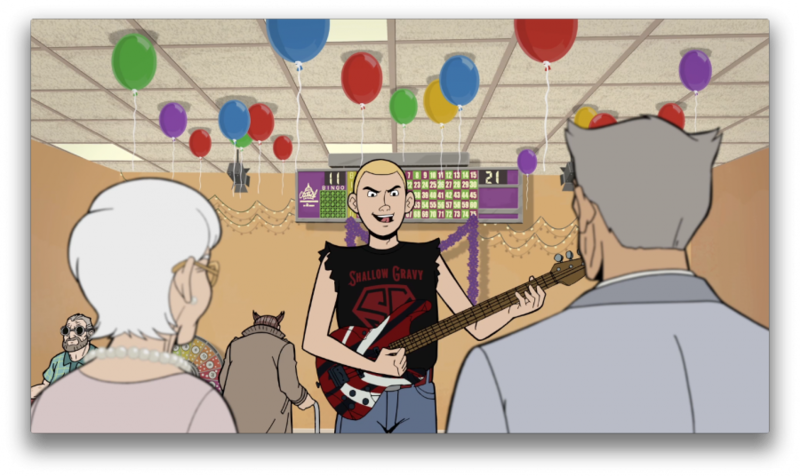 In the diner scene with boys and Dr. Orpheus, are the two waitresses canonically Dermot's mom and sister? Or is it just a coincidence? I really need a new season. The New Shirt of the week club? At D*C last year You and Doc were discussing starting the shirt of the week club, and I've had several people ask me about it. Is there any sort update you can give me to pass on? Do you watch 'An Idiot Abroad'? Because they sent the guy to Japan, and had him interact with that Asimo robot, and the first thing he said was 'It walks like it s**t itself'. And I thought of Robo-Bo. And I laughed. The Netflix description of The Venture Bros. Does not do the show justice. Re: The Netflix description of The Venture Bros. True... but the 5 star reviews and viewer comments more than make up for it! 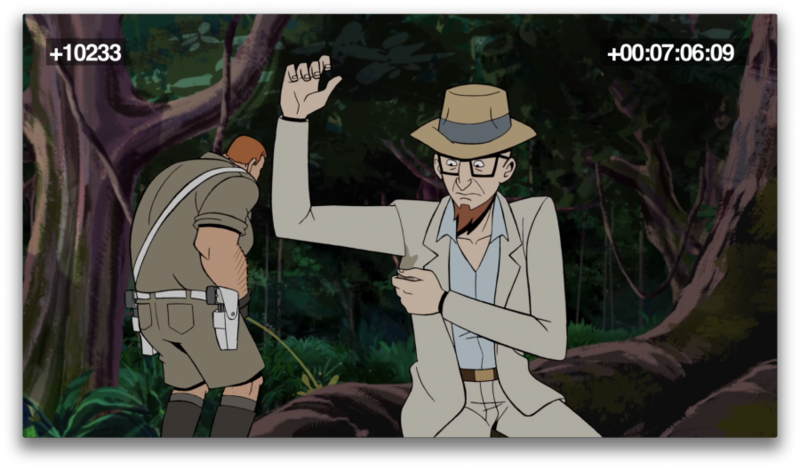 There are a lot of rumors flying around about possible upcoming Venture Bros. related events. Can you give us a status update on just anything going on with the show? Re: Can we get an update? Nothing new or concrete to report. All the episodes for season 5 are done and delivered. We're just waiting for the network to air it. Are you or Doc involved with Brock's portrayal in the upcoming Poker Night sequel? 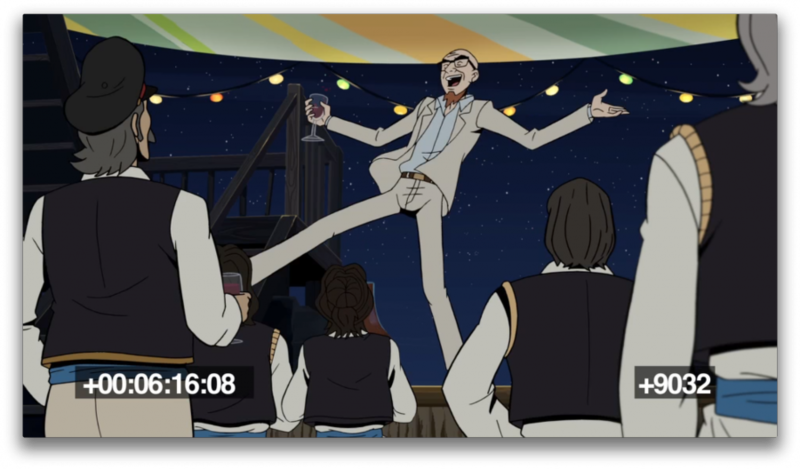 At least The Venture Bros., (and to a lesser extent), Falling Skies will get me through most of the blazing Colorado summer. A blessing in disguise, perchance? Season five premiere an hour long - awesome! 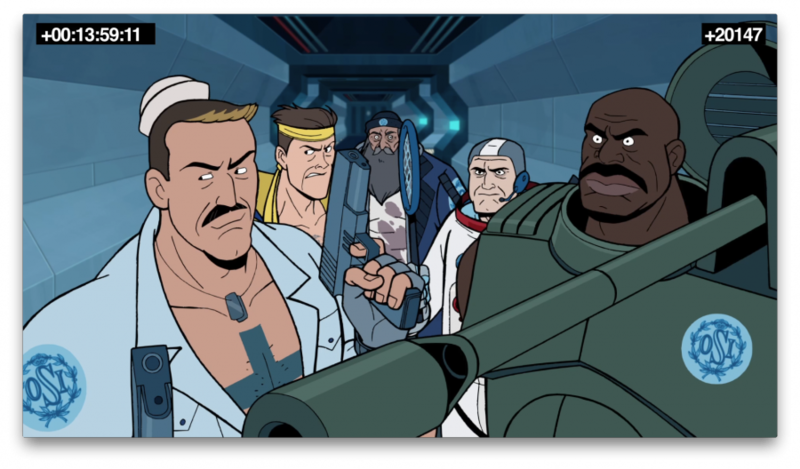 These Netflixians (trademark), will be able to watch Brock Sampson smash villains and Doc Venture be a horrible father. But without the commentary at what cost? Pioneer Netflix and be the first series to include commentary. That might be a good idea ( plus potential extra royalties would't be too shabby ). Anyway, haven't seen an update in a while so just wanted to drop in and say hope everything's okay at the Astrobase. 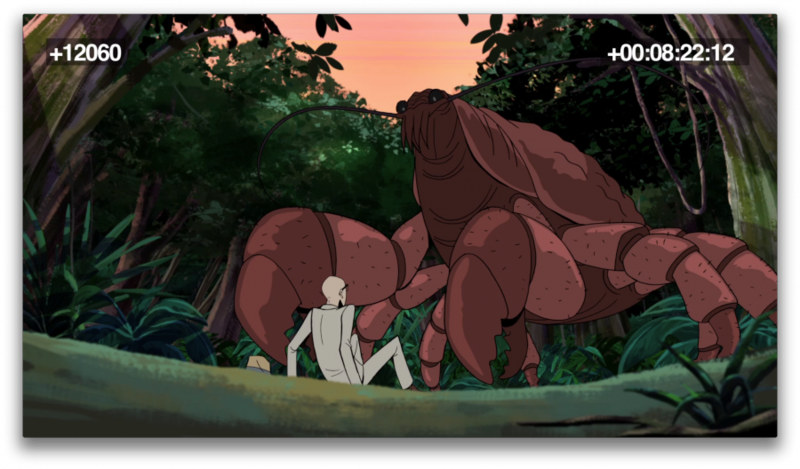 I can't really segue this but I will never get over how much I love the choice of color and design of the show. 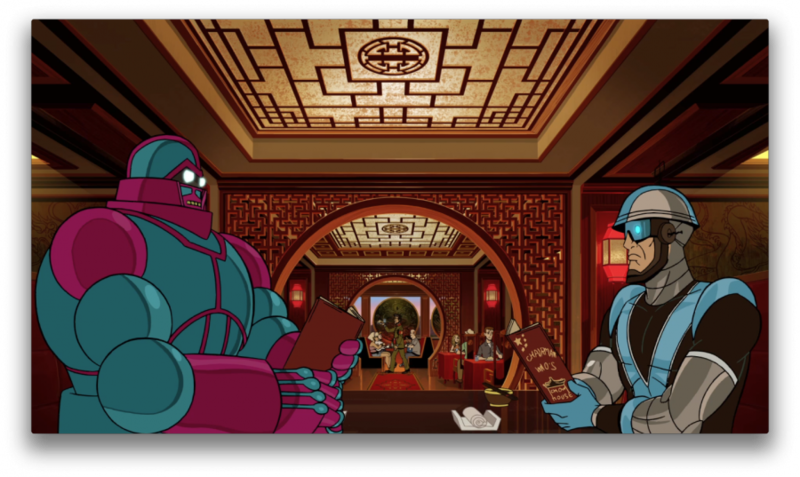 For instance, the preview picture of the lavender room the Monarch and Dr. Girlfriend are in is just f***king gorgeous. Such a well done written, produced, drawn show. Can't compliment it enough. Countdown continues to June 2nd and as always, more Curse please. Makes me salivate. please be at dragon con this year, I can finally get a vacation during that time. 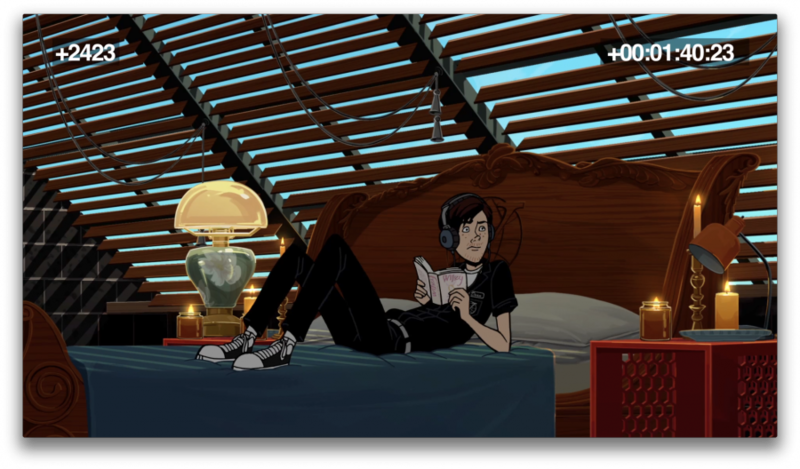 Saw a new promo last night with a cavalcade of Venture Bros. Characters. Got the info about the Billboards, and about the Nitehawk Cinema premiere. Are there any more details you can give us about any more upcoming events? In re. Shirt Club, other premiere parties, etc.? Not much to report, as I am holed up in an L.A. motel room at the moment (where I did happen to catch that VB promo on TV last night). I know we're working out some kind of screening or series of screenings with the Alamo Drafthouse theater chain, but don't yet know which cities they'll happen in or what night(s). 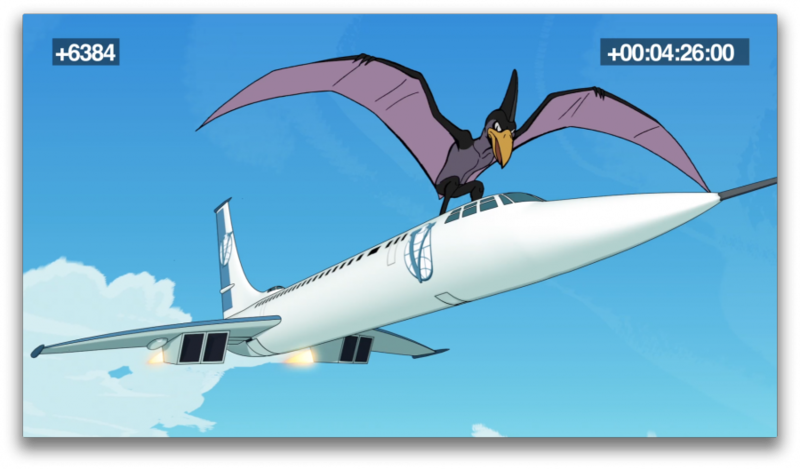 I only know that our intrepid sound engineer, Dave Paterson, is currently at work remixing both the season 4 finale and the season 5 premiere episodes for optimum wham-bam theatrical sound quality for the occasion, which I look forward to hearing upon my return to Gotham. As for Shirt Club--that's gonna happen. The designs are all done, they're super-cool, and we're working out the logistical details now. So far we have: Nitehawk Cinema, The Alamo Drafthouse locations, and Cinemaworld in Fl. Any word yet on potential screenings in the greater Atlanta, Ga area? Which cities are the premieres going to be in? Howdy Mr. Jackson Publick the Great. Hope all is well! Just wondering if you have any idea which cities the premieres are going to be in?